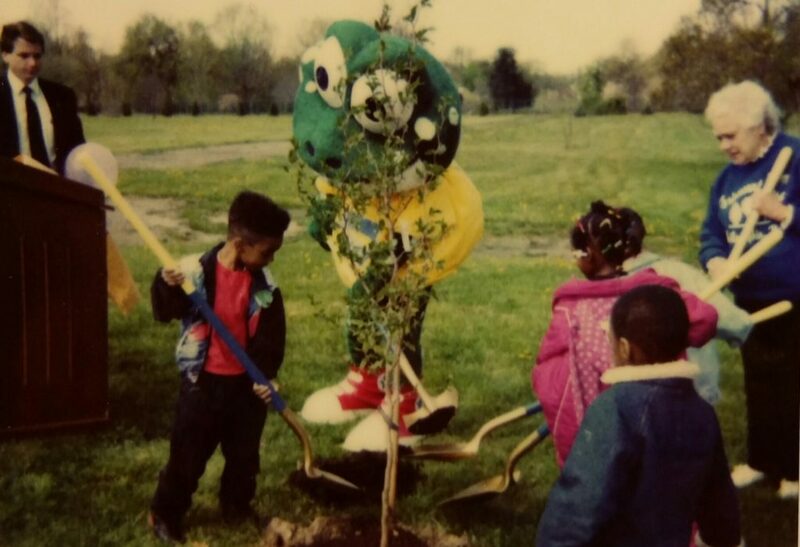 Children help plant a tree during a 1991 Arbor Day celebration with the Fairmount Park mascot, Francis Percival Frog. Arbor Day is an internationally celebrated holiday that recognizes the importance of trees. On this day, people plant new trees, care for existing trees, and educate each other on the role of trees in our lives. In the majority of the United States, Arbor Day is celebrated on the last Friday in April. The Arbor Day Foundation was founded in 1972, one hundred years after J. Sterling Morton celebrated the first Arbor Day by planting 1 million trees across the state of Nebraska. Since it was founded, the Arbor Day Foundation has become the largest nonprofit membership organization dedicated to planting trees, and engages in many different programs to green communities across the country.